If we get caught up in our thinking and thoughts it can be paralyzing. In order to free ourselves from that paralysis we have to take action and do something. A simple example is just to get up and move your body. If your body is feeling stiff, get up and stretch, go for a walk, and by moving your body will feel better. The actions can be small actions; they do not have to be big actions. Bruce Lee was a philosopher and he wrote a lot about his thoughts and how he thought that life should be lived. He did more than just write; he put his theories into practice and lived his philosophies. 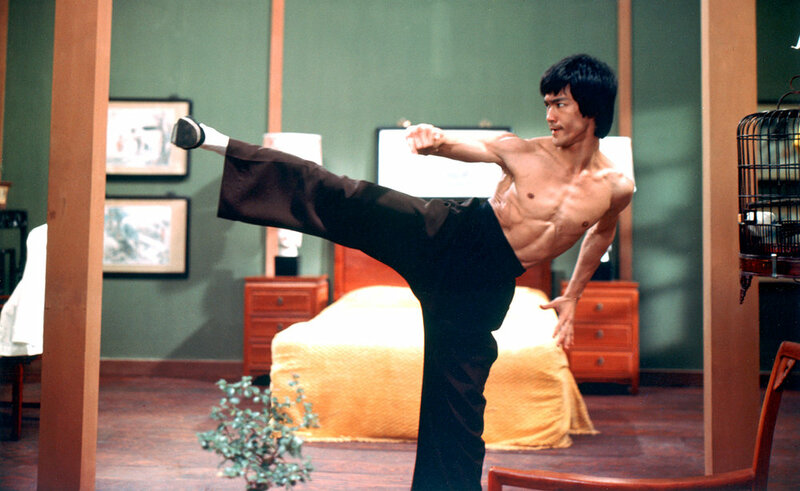 Bruce Lee was a normal person who lived his own philosophies and became a globally loved icon. When you put your mind to it, and you accomplish what you need to, it is empowering and boosts our self-esteem and confidence. In order to accomplish anything you have to take action. We must take conscious action. When you only halfway do something, you do not learn anything and it does not help you grow. The quality of your action is important, even if it is small. Many times we feel as if we cannot take action because of how it affects others or outside influences have too much hold on us. Bruce Lee is saying that it is ourselves who hold the power, affects how we feel, and it is us as an individual who chooses the direction we want to go.